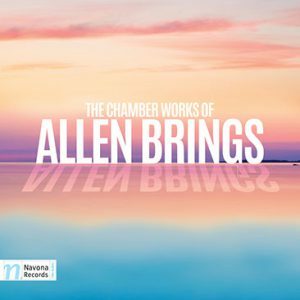 The chamber works on this album are quite varied in their instrumentation but three feature the clarinet. The first is Duologue 5 for clarinet and cello. This piece has excellent writing for both instruments and there is a constant weaving between the cello and clarinet as they switch roles from solo to supporting textures. The playing from clarinetist Edward Gilmore and cellist Adam Grabois is outstanding. 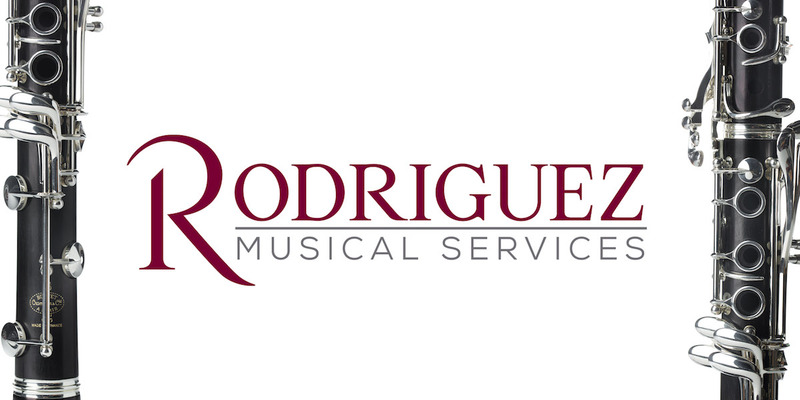 They both play with an expressive tone quality, which brings complex harmonic language to life. Duologue for oboe and clarinet is similarly dense in its harmonic content, but is no less successful in terms of the excellent execution from clarinetist Edward Gilmore and oboist Matt Sullivan. The performance is full of character and interesting contrasts between the constantly changing melodic materials. Duo for clarinet and piano is a work in three movements, which features clarinetist Esther Lamneck and pianist Judith Olsen. Lamneck has an exceedingly expressive approach to the clarinet and her color palette is limitless. She easily navigates the technical challenges in the work and never loses sight of the musical intention. These three excellent works are all worthy of a place on any clarinet recital. Many say that the clarinet is the instrument that most closely resembles the human voice. 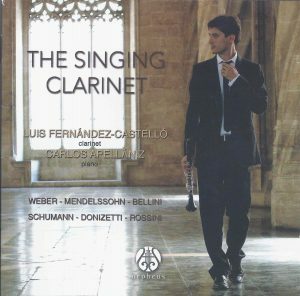 Spanish clarinetist Luis Fernández-Castelló elegantly conveys those vocal qualities in his album, The Singing Clarinet. Drawn from the German and Italian operatic traditions, the album showcases works whose musical and technical demands are executed with effortless aplomb. In Weber’s Gran Duo Concertant, the playing is equally forceful and flirtatious. Listeners will enjoy the sensitivities that both performers bring to Fernández-Castelló’s own arrangement of Mendelssohn’s Song without Words, Op. 109. The album contains two of Luigi Bassi’s operatic masterworks: one based on Bellini’s I Puritani and the other on Donizetti’s La Favorita. In both, the performers balance intimate lyricism in the arias with boisterous, bubbly technique in the variations. Interpolated between the Bassi fantasies is Schumann’s Fantasiestücke, Op. 73, which exemplifies the expression of the German Romantic tradition and the affinity the later Romantic composers had for the clarinet. Fernández-Castelló’s sinuous melodic phrases throughout all ranges of the instrument are akin to the seamless vocal lines of German lieder. Fernández-Castelló’s interpretation of Rossini’s Introduction, Theme and Variations is whimsical and quippish, and offers a fitting conclusion to the album. Though some may find the tempos in some of the works to be a bit conservative, it does not in any way detract from the artistry that is contained in these tracks. Fernández-Castelló and Apellániz wring out every drop of musical goodness in each measure. Every note is performed with direction, inflection and intent. Some of the liner notes have some minor awkward translations and turns of phrase, but they contribute meaningful historical anecdotes to the album. Overall, the playing and interpretation on this recording is exceptional and it would make a fine addition to anyone’s library. 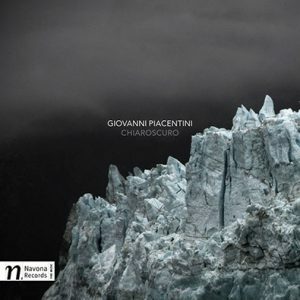 This album is a collection of the works of by Giovanni Piacentini. The first work, Chiaroscuro, while for solo guitar, is delightfully colorful and charming. Chasing Shadows, for violin, harp, bass clarinet and vibraphone is a stunningly beautiful work with accessible compositional language. The violin playing from Tim Fain is most prominently featured, but the bass clarinet playing from Mike McGinnis is excellent. His tone quality and intonation are enviable and he weaves into the texture seamlessly while supporting the violin solo line. The final work on the album is Miniatures for bass clarinet, percussion, vibraphone, guitar, violin and viola. This piece is in seven movements and truly features each instrument in an equal way. The textures are quite transparent which allow each voice to be clearly heard which is a testament to the fine compositional structure. The sixth movement most prominently features the bass clarinet, with virtuosic writing that is easily managed by clarinetist Brian Walsh. The disk as a whole is a fine collection of interesting works that has been expertly recorded and produced. 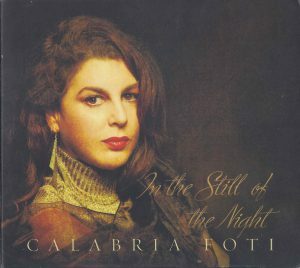 In the Still of the Night, though billed as vocalist Calabria Foti’s album, is a feature for her produced and arranged by the session’s pianist, Michael Patterson. Foti sings through eleven works by Cole Porter, backed throughout by a tight, hip rhythm section. Relief is provided with virtuosic wind solos by clarinetist Eddie Daniels and trombonist Bob McChesney (Foti’s husband), and the occasional intro or coda played by cellist Richard Locker. The entire ensemble sustains tasteful musicality, cohesiveness, and sensuality throughout the recording. Foti’s melodic statements are true to the original melodies, with her embellishments being merely sonic (different amounts of breathiness) or microtonal inflection (scoops, falls, subtle vibrato): ornamentations and style rather than full-on improvisation or re-composition. This basic approach displays her beautiful, full sound. Likewise, the rhythm section plays so tightly that it is difficult to decipher, at most times, when the rhythm section is just blowing on chord slashes versus reading written and preplanned hits, figures, intros, interludes, and codas. Patterson’s brilliant voicings and touch on the piano often steal the show for me. The entire album focuses on a soft-toned romantic mood, sometimes creating interpretations surprisingly different from how some of these tunes are often played. For example, Just One of Those Things and What Is This Thing Called Love? are usually played as up-tempo burners. However, 80 percent of this album is in either ballad or soft bossa nova style. A sensuality is provided by a breathy softness clearly celebrated by nearly all present – Calabria’s breathy singing, the sub tone of Daniels’ clarinet, and the masterful use of brushes by drummer Jared Schonig. Thankfully, there is some relief to this one-tracked mindedness. Daniels and McChesney’s solos are often the high point of energy for the selections they blow on, seeming like the only free agents of the recording date. Groove and dynamic wise, there are a few moments of medium swing, a few moments of a slightly louder dynamic, and a nice, deliberate three-against-four groove during the A sections of “So In Love.” Additionally, the use of cello adds a lovely, complimentary texture to the album. The album even ends with cello and piano alone. These touches of variety help relieve the listener from getting disinterested with the project. For readers of The Clarinet, this album presents another opportunity to celebrate the great jazz clarinetist Eddie Daniels. His voice as an improviser is an interesting mix of vocabulary and mannerisms from earlier phases in his career (as evidenced in his recorded body of work)—the early, combative tenor sax style mixing the roar of Rollins, the density of Coltrane, and the soft moments of Getz; the virtuosic classical clarinet showcases; the fusion and smooth jazz tinged GRP era clarinet and Brecker-ish saxophone; the increasing frequency of Goodman repertoire interpretation and re-interpretation; and the recent obsession with softness—like with Ricardo Morales—especially with any ascension into clarion or altissimo registers. Staying true to the surroundings provided by the sidemen here, Daniels’ approach is on the soft side, in a similar vein to his Beautiful Love, balanced with a more aggressive articulation at times, like on his Swing Low, Sweet Clarinet album. He usually tongues every note in triplet lines and tongues every-second-note in sixteenth lines. His harmonic vocabulary is very careful and voice leading oriented here, with a few contemporary devices used (diminished scale vocabulary, a few quartal shapes, etc). His GRP side can be heard when he plays a finger swoop up into a high note with fast vibrato. His most clarinet-centric vocabulary is that which is shared by most classically-trained jazz clarinetists throughout the music’s history, making it difficult to say whether it’s an influence from the likes of Goodman, or a more universal influence from etudes, etc. These devices are mostly oscillations, or even calls and responses, between registers or the hands. For example, as often used by Goodman, repeating the same riff or melodic cell, changing the octave registration upon each sounding. The trills and staccatos he occasionally uses would be another example of a more clarinet-oriented approach. My favorite moment of Daniels’ clarinet, on this album, is his beautiful sub tone during his solo on So In Love. Bob McChesney is the perfect match for Eddie Daniels. 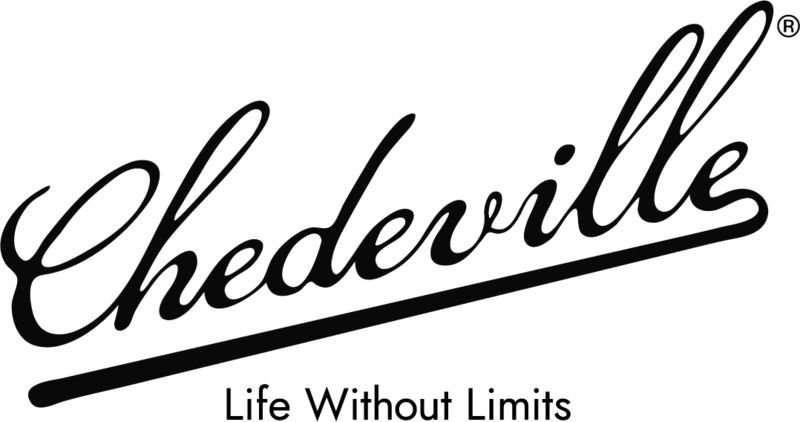 He could easily be seen as the “Eddie Daniels of the trombone.” They are both known for having brought technical and modernistic legitimacy to their instruments in post-bebop jazz circles: both instruments being too often typecast as belonging exclusively to the genres of dixieland and swing. On this album, they both bring much needed momentum to the songs when the listener starts to tire of hearing another ballad or bossa nova. They would make a great team and should do a collaboration of their own someday. All in all, In the Still of the Night is a perfect album for a quiet evening in, or for slow dancing. No one on the album gets in the way of this mood and the album is a success in cohesive beauty. This is a beautiful showcase for all involved, and a new presentation of Cole Porter works worthy of attention and praise. 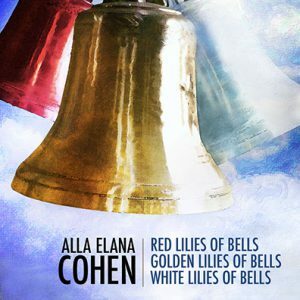 Alla Elana Cohen is a Russian-born composer based in Boston and is a professor at the Berklee College of Music. This disk is a collection of her chamber works. Three are of particular interest to clarinetists, the first of which is Triptych for Chamber Orchestra ‘Homage to Jean Cocteau and Jean Marais,’ which is in three movements for flute, oboe, clarinet, timpani, vibraphone, marimba, two violins, viola, cello and piano. The work is comprised of many short motivic gestures and constantly changing textures and colors. The third movement is quite challenging for the clarinet with intricate altissimo passages with flute and oboe. Clarinetist Todd Brunel matches their color with ease. ‘Inner Temple’ Volume 1 Series 12 ‘Brachot’ for Chamber Orchestra in three movements shares nearly the same instrumentation with Triptych, omitting the piano. The musical material here is quite melodic with active rhythmic underpinnings. The playing from the entire ensemble well executed and clear. ‘Inner Temple’ Volume 1 Series 11 ‘Shabbat Nigunim’ in four movements is also for chamber orchestra with piano. The material in this work is certainly similar to Cohen’s other pieces on this album, but is decidedly lusher in texture with beautifully intricate low and inner string writing. The fourth movement has the most significant clarinet writing. Clarinetist Alexis Lanz sounds classically orchestral in his approach with a compact sound that he is able to blend with any instrument in the ensemble. I’ve just had an album of new music for clarinet and piano released. I would like to send it for review in the Clarinet magazine. How should I do that?